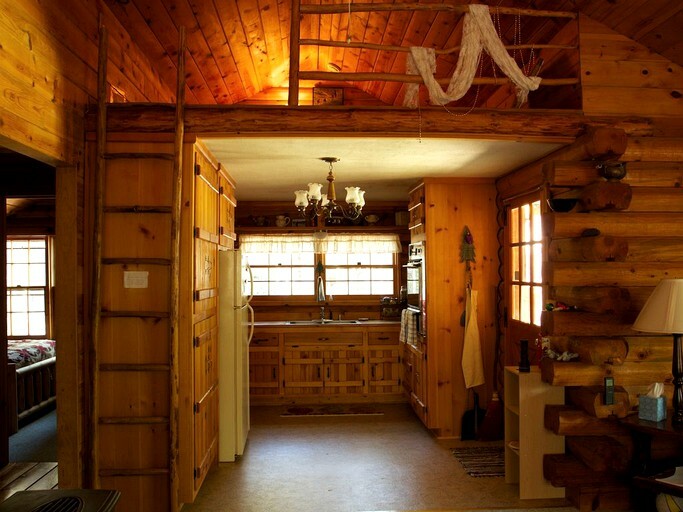 This fantastic cabin getaway is perfect for a small group of glampers looking to explore the region of Yuba River in California or visit Nevada City. 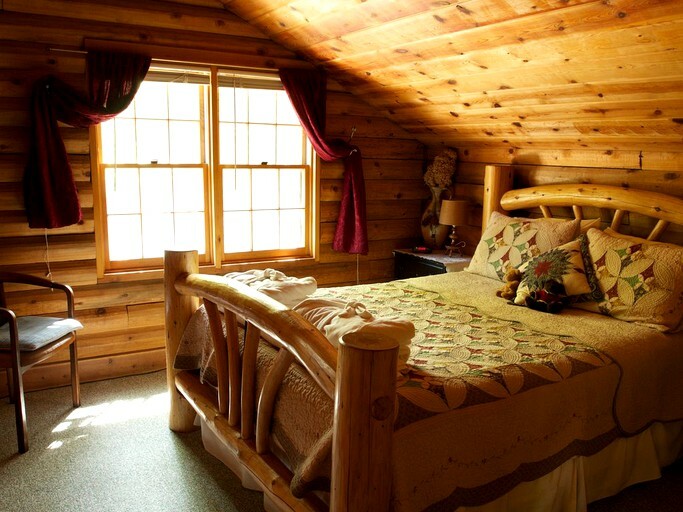 The cozy, two bedroom accommodation is perfect for up to five guests with the master bedroom furnished with a queen-size bed and the second with a double, both constructed from solid log frames. In the living room, a sleeper sofa serves as a bed for the final guest. 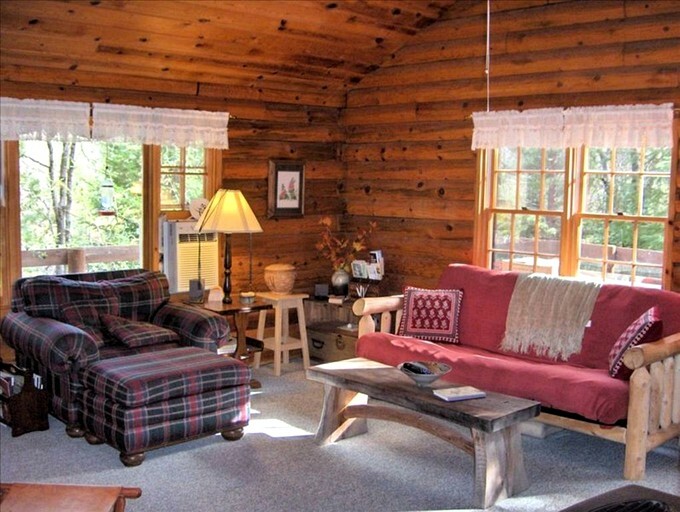 In the main living area of the cabin, guests will find a cozy lounge suite that surrounds the fireplace and a small dining table that will seat two comfortably. 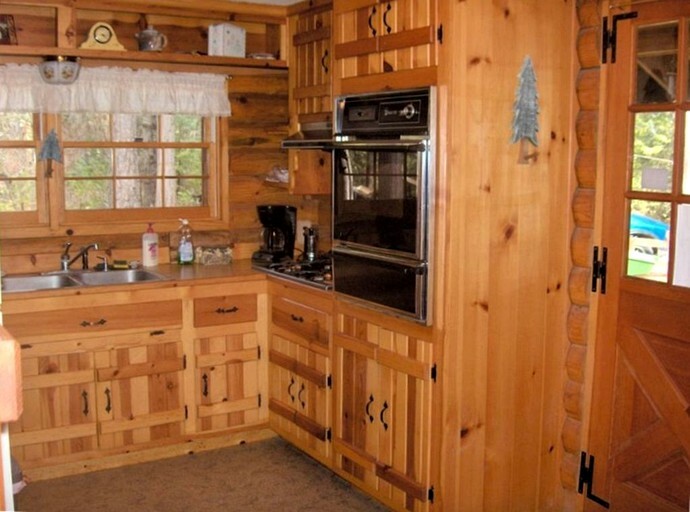 The kitchen is equipped with everything that a group would need for an easy, self-catering accommodation and there is a gas stove, and all pots, pans, and utensils. A television and DVD player, as well as books and cable channels, are provided for guests entertainment if glampers want to unwind. 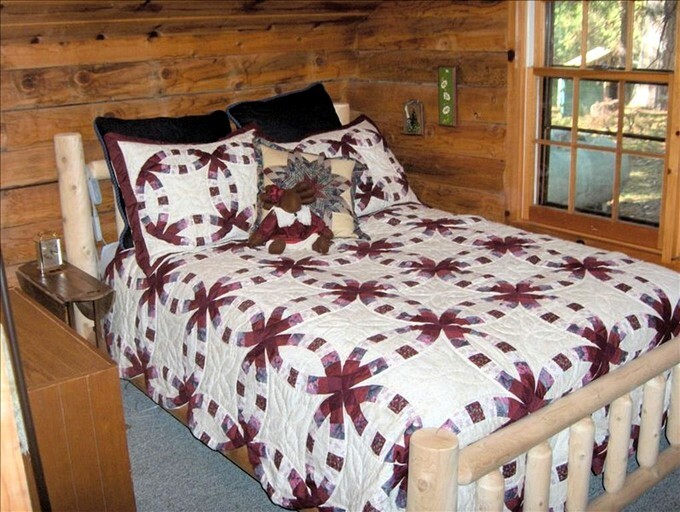 This glamping cabin comes with all linens, bedding, and towels provided by the hosts and there is a washing machine and clothes dryer available for guests to make use of if they need to. 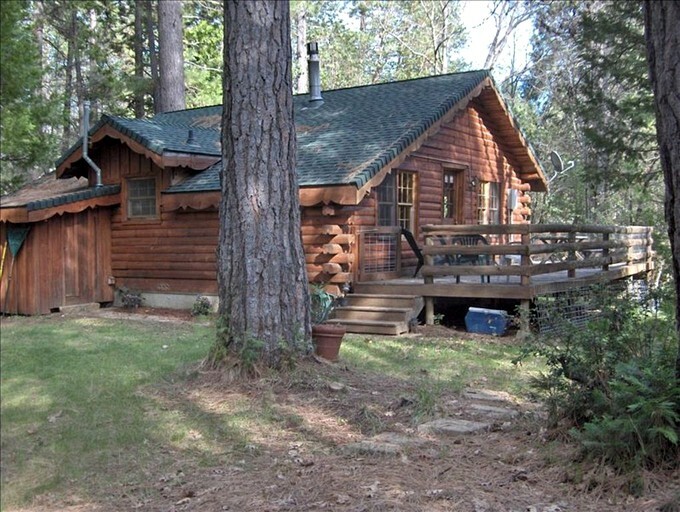 Wi-Fi internet is installed at the cabin so that glampers can always stay connected and there is plenty of space for parking at the accommodation. 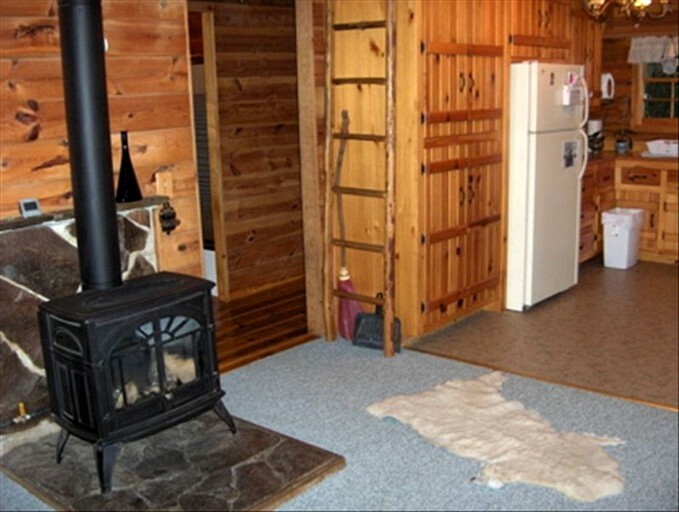 Inside the cabin, there is a gas fireplace to keep the space nice and cozy, and outside, there is a fantastic grill for barbecuing and a luxurious hot tub! This region is jam-packed with lots of fantastic activities to enjoy. In the summer, the region is perfect for hiking, biking, and wildlife watching as well as swimming and fishing in the rivers. The winter brings with is¡t the snow and the perfect conditions for snow sports such as skiing, snowboarding, cross-country skiing amongst others and the Squaw Valley is where people flock too to enjoy these sports. Other activities in the area include golf, tennis, and, there is a fantastic communal swimming pool to enjoy. 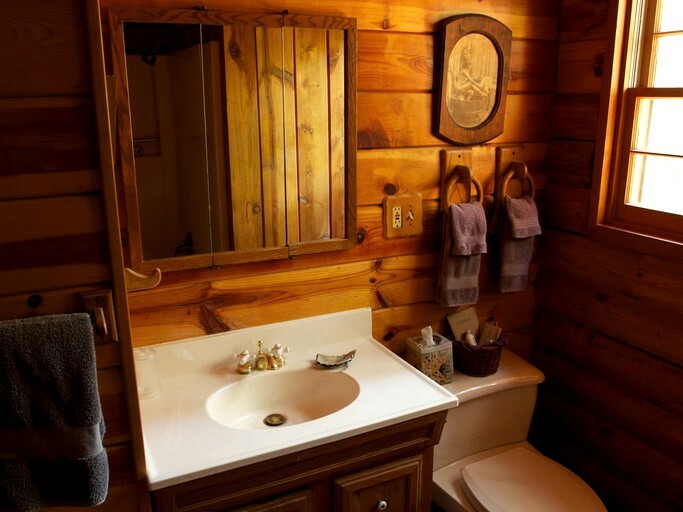 If glampers are interested in the gold rush history of the area there are great museums to visit and a day-trip to the Yuba River or Deer Creek offers glampers the chance to try their hand at panning for gold themselves. On the lakes, there are prime spots for fishing, swimming, as well as windsurfing and there is sure to be an activity for all when visiting this destination. 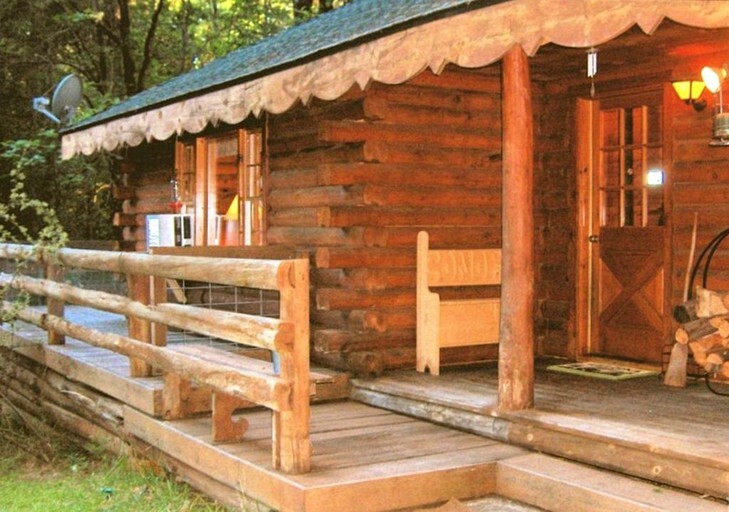 Guests will need to pay a refundable damage deposit of $100 when staying at this glamping accommodation.